Urban development is the key indicator of the growth of the Indian economy, and construction. Both infrastructure and real estate, play a key role as a measure of growth. Sand, the backbone of the construction industry, has become a problematic resource to procure in India. Availability and inferior quality have contributed to the price volatility in this resource – classified as a minor mineral under the National Mineral Policy instituted in 1993. With the problems associated with sand, namely illegal mining by the sand mafia, heavy price volatility, inferior quality and non-grade material, and a high demand to spurt growth, sand is a critical mineral of very high value. Whether a river sand mining ban by NGT or a state government regulation to optimally dredge the rivers, the problem with sand supply cannot be resolved by only institutional regulation. The industry needs an answer to the underlying supply side problems. The most trusted alternative to sand is manufactured sand (also known as M-sand). This technology helps alleviate the risks associated with natural sand procurement. By de-risking the construction sector from heavy price volatility, and dependence on illegal sand supply manufactured sand provides an uninterrupted supply and consistent quality. This, no institution related to the natural and river sand regulations has been able to deliver. Manufactured sand as a concept has many manifestations in the current Indian market. Unwashed quarry dust, crusher dust (both 2&3 stage) are being passed off by this name. To take care of the excessive ultrafines/silt in the so-called sand, cleaning systems have been introduced. But many such introductions like bucket classifiers and screw classifiers have failed to deliver. These old age technologies can neither produce correct sized product nor are the products free from deleterious slimes & silt to the required extent. Another major drawback of these plants is their inability to handle varying feed types. The only reliable technology to produce manufactured sand is a highly challenging technical process involving washing and grading of sand. CDE is the pioneer of this concept and a global leader with its cutting-edge sand technology operating across the planet. This technology uses quarry dust, crusher dust or river-bed material as the raw/feed material to produce the highest quality ready-to-use graded sand meeting Zone II quality specification under IS 383 for the construction industry. In CDE technology along with Zone II grade concrete sand some amount of Zone IV sand for plaster can also be produced. The production levels would depend upon feed material characteristics. Recently, CDE has also developed a technology for using the rejected sludge of sand plant for making bricks. CDE is the world leader in material washing equipment, providing novel means to save our earth by preserving its resources. 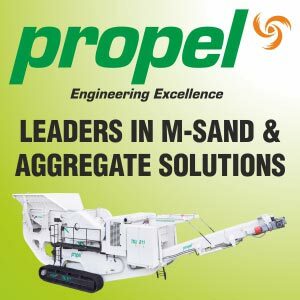 The company has extensive experience in producing high quality manufactured sand in a number of countries and has installed more than 200 washing plants in India, making manufactured sand a preferred option in 30 cities. CDE’s flagship Combo sand washing system delivers washed, dewatered, and well-graded Zone II concrete sand. This is RMC-ready, impurity-free, vastu-friendly sand that is being readily used for manufacturing low cost higher durability concrete. Combo denotes the word ‘combination’ of 7 functions of green wet processing technology that will save water, land and energy and not create pollution hazards at project site. The compact plant incorporates all the actions involved in washing process e.g. screening, classification, dewatering, water management etc., in a single chassis. This enables the plant to be installed in a small area with attendant advantages of lower power & water consumption, and thus, low operating cost. While washing sand as a concept is more than 20 years old, effectiveness of the unique design of the Combo has been proved with nation-wide installation in India & overseas enabling customers to maximize the quality, value and yield of their low value raw material reserves. The green footprint of Combo ensures that no water is wasted, all fractions of the material is made useful, clean power is used and energy requirement is lowest per ton of feed, no environment hazard due to discharge of liquid or effluent from the plant, no dust at the working site and the noise level is lower than the prescribed limits. It may be observed that the washed manufactured sand produced by CDE technology successfully meets all the standard specifications needed to qualify for concrete manufacture. The need of the hour for the government and NGO’s is to educate the construction industry and the retail users about the threats of using sub-standard quality of manufactured sand. In India there have been many instances of unprocessed quarry dust/crusher dust being sold as manufactured sand. Crusher Dust is the by-product formed during the production of crushed aggregates and it is often angular, sub-angular or flaky in shape, unstable in particle size distribution, and rough in texture. Owing to complaints, officials of the Mines and Geology Department in India will soon begin checking the quality of the sand at not only the manufacturing unit, but also during transportation and at construction sites. Such action is necessary to instill confidence among the people over the use of M-sand, which has become a viable alternative to river sand ever since the Supreme Court banned in-stream mining in India. Most high growth urban centers in India like Mumbai, Delhi NCR, Bangalore, Chennai, Hyderabad, and Pune, face recurring supply side shocks pertaining to sand. This problem has persisted and shall continue to persist given the nature and pace of growth in India. A tested and successful solution for the construction industry to smoothen the bumps in the mineral procurement, and to foster high growth, is to adapt to manufactured-sand produced by authentic methods of sand washing. CDE has partnered with numerous corporations around the globe, and particularly in India, to provide customized washing solutions for sand. It is time to take the right step forward and find CDE as your preferred sand solution provider.